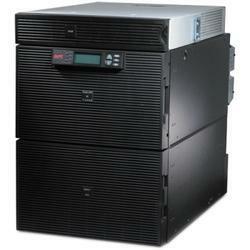 Manufacturer of a wide range of products which include apc schneider, apc smart ups rc 1000, apc 5kva ups src5kuxi, apc schneider 5kva surtd5000xli-cc, apc 3kva online ups and apc ups service. 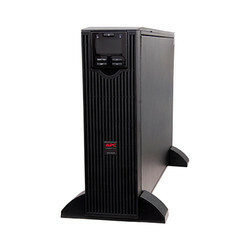 Automatic internal bypassSupplies utility power to the connected loads in the event of a UPS power overload or fault. Automatic self-testPeriodic battery self-test ensures early detection of a battery that needs to be replaced. Frequency and voltage regulationGives higher application availability by correcting poor frequency and voltage conditions without using the battery. Generator compatibilityAllows you to recharge your battery while on generator power. Green modePatent-pending operating mode that bypasses unused electrical components in good power conditions to achieve very high operating efficiency without sacrificing any protection. Intelligent Battery ChargingMicroprocessor controlled, 3-stage regulated charging ensures the fastest recharge times without decreasing battery life. LCD Status DisplayProvides key UPS status at a glance. Multiple status indicators with load and battery bar graphs. Serial connectivityUse any Home Automation network to monitor and control the S20 through its RS-232 serial port. For information on how to communicate with the S20, see APC's Application Note #102. Crestron and AMX installers should visit their respective websites for information on how to integrate the S20 into those networks. Sine wave output Eliminates humming and heat generated when powering tube lights and fans. Save time with easy and convenient remote/network accessibility.Network manageable via serial, USB or Ethernet. Includes Powerchute® Software for convenient monitoring and control, safe operating system shutdown, and innovative energy management capabilities. Low operating and maintenance costs with proven reliability and intelligent battery management.Intelligent battery management, pioneered by APC, maximizes battery performance and life through intelligent, precision temperature compensated charging. Automatic self tests insure battery reliability and warn customers in advance of battery replacement. Convenient, easy to connect, hot-swappable battery modules provide battery replacement without powering down. 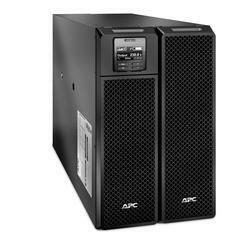 Avoids costly power problems by keeping your IT equipment and data protected and available.Network grade power conditioning protects from damaging surges and disruptive noise. The double conversion architecture provides tight voltage regulation, frequency regulation ,and zero transfer time to battery during power events. Peace of mind that comes with full equipment compatibility and reliability of a leader. Provides pure sine wave output which is recommended by server manufacturers using active power factor corrected (PFC) power supplies. Safety agency tested and approved means that you can deploy Smart-UPS with confidence that they meet or exceed the industry’s most rigorous standards. 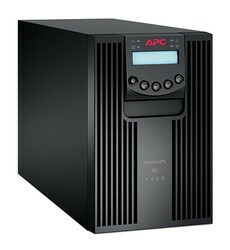 Product Description The APC by Schneider Electric Smart-UPS™ is a high performance double conversion online uninterruptible power supply (UPS). 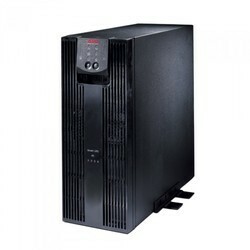 The UPS helps to protect the connected electronic equipment from utility power blackouts, brownouts, sags, surges, small utility power fluctuations and large disturbances. 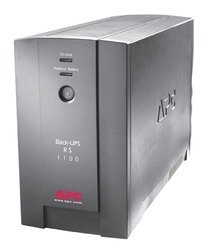 The UPS also provides battery backup power for connected equipment until utility power returns to required levels or the batteries are discharged. The Online LED illuminates when the UPS is drawing utility power and performing double conversion to supply power to connected equipment. We are distributor of Numeric UPS in Thane, Maharashtra, India, These are known for their high performance and longer service life. Widely praised by our customers which are located all round the nation. our customers can grab this from us at reasonable price. 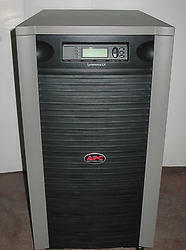 This APC UPS system has a single battery slot to hold any kind of external battery system. 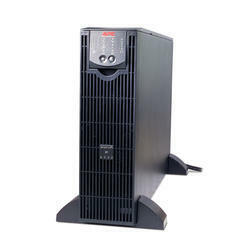 It has a power output capacity of 6000 VA with less than 3 voltage distortion output and frequency of 50/60 Hz. It uses dual conversion online topology while supporting 3:1 crest factor with built in bypass system. 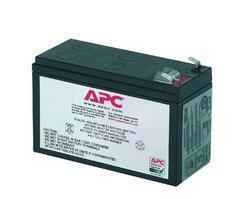 We are offering UPS Battery. 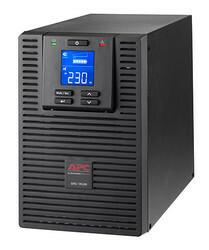 Looking for APC Online UPS ?